One of the two experts quoted in Fox News' notorious hit-piece on Bulletstorm has clarified his remarks, and while he stands by them, says their presentation lacks context - and that he enjoys playing Mature-rated shooters in his free time as well. 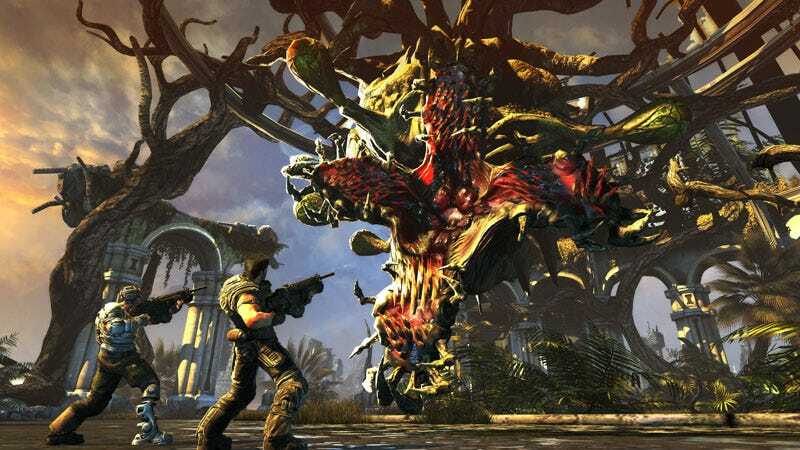 If a younger kid experiences Bulletstorm's explicit language and violence, the damage could be significant. Violent video games like Bulletstorm have the potential to send the message that violence and insults with sexual innuendos are the way to handle disputes and problems. My opinion, as stated in my quote, is that there is potential to do harm, but certainly this is not the outcome for 100 percent of the game's users. And obviously the folks at ESRB agree, since it's rated M for Mature and was not designed for young audiences. Weichman went on to say that while he hasn't played the game, he has seen videos of it - but more importantly, is himself a gamer who plays titles in the Halo and Call of Duty series. Of course Bulletstorm is inappropriate for kids - and the ESRB has recognized that and rated it as such. "My work with teens leads me to put the bulk of the responsibility on the parent," Weichman added, "and I wish that the article had given parents more information or tips on ways they can monitor their child's gaming activities to insure that they are playing games which contain content appropriate for the individual child's maturity level." That's one of the two experts quoted; certainly Dr. Carol Lieberman is the one who made the infamous claim that Bulletstorm's imagery will be indirectly responsible for a rise in sexual violence. But if Fox trimmed Weichman's comments to present a more forceful or sensational point then who's to say it didn't do the same with Lieberman's.